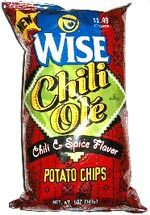 Taste test: These taste like a bowl of chili, with a bit of a spicy aftertaste well after the chips are no longer in your mouth. 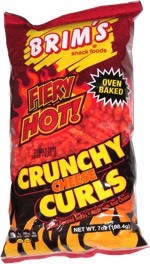 Not bad, the chips don’t take away from the flavoring (not greasy, for example). One taster said, "Tastes like those square pizzas they served in elementary school." Smell test: Smells a bit like taco powder, or a taco. This snack was discovered by Keith and Melissa at Mobil station north of Pittsfield, Massachusetts.